Let your imagination run wild and use this heart design in unexpected ways. It was designed by Olek, Manhattan yarn artist extraordinaire, whose work will be shown in the Smithsonian. GAUGE: 12 dc = 4″; 6 rows = 4″. CHECK YOUR GAUGE. Use any size hook to obtain the gauge. Heart Square measures 12” wide x 11½” tall. 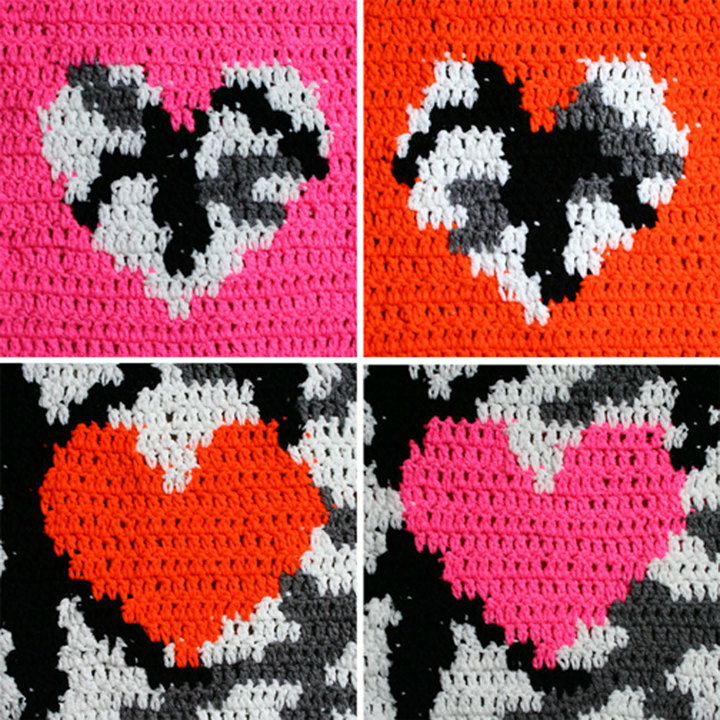 NOTE: Heart Squares are made in 4 different color ways. When changing colors, work last step of last st of previous color with new color. Carry unused color along top of stitches, working over it with working color. Row 1: Dc in 4th ch from hook and each ch across – 36 sts. Row 2: Ch 3, turn, dc in each dc across – 36 sts. Repeating Row 2 and beginning with Row 3, work 17 rows of Chart. 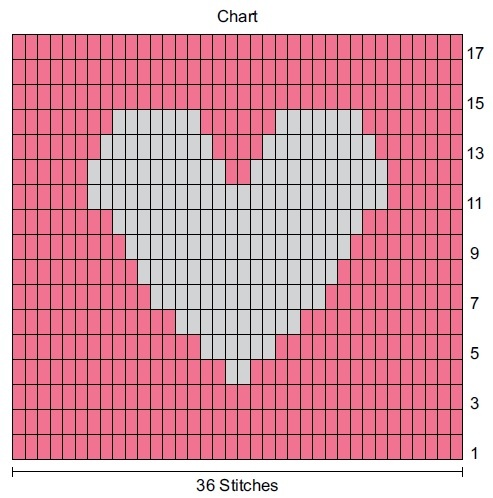 Abbreviations: A, B, C = Color A, B, C; ch = chain; dc = double crochet; mm = millimeters; st(s) = stitch(es).